Just as snow blowing in your face or the sound of the neighbour's dog barking fades into the background of your reality the constant rubble of heavy trucks through Tisdale is pretty much taken for granted. 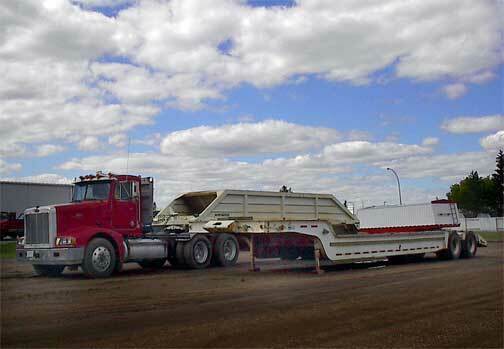 When Kevin McIntyre pointed out the interesting story in the Saskatoon Star Phoenix about Saskatoon trucking companies recruiting drivers from Britain I immediately received an e-mail from a family in England looking for a job here in the Tisdale area. I also got a message from a lady in Australia wondering if I knew of a trucking firm that hauls from Armidale to Melbourne but I am not able to offer her much assistance. But the message from the UK sent me out to check on what is happening here and in the surrounding area. Everyone I talked to came back with the same opinion, qualified reliable drivers are truly scarce. Most drivers are only looking for part time or seasonal work and even then have other work, like farming to turn to, which means that companies needing drivers who can be on the job, especially in the busy seasons, for long hours and seven days a week are impossible to find. To handle this problem many companies that rely on truck transportation hire full time truck drivers and buy a unit so they do not have to rely upon short staffed trucking companies. 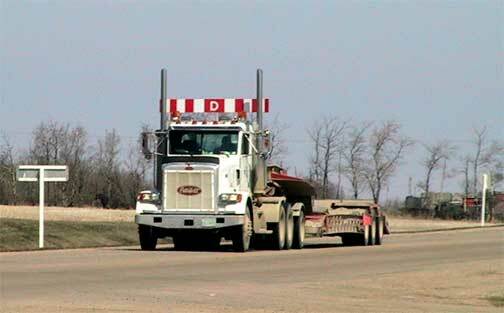 This means more than twenty full time drivers work here in Tisdale for industries that are not trucking companies. 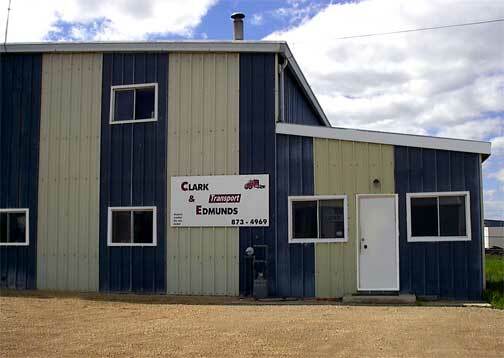 Clark & Edmunds Trucking has eight full time drivers and are always on the look out for drivers to put in the cabs of their trucks. But this is where things get confusing. The bulk of the trucks that flow through town, up to a "b" train every thirty seconds during the day, are owner operators. Drivers put their own truck on the road working with a company which becomes a dispatch agency. This gets them fuel at less than 40¢ a litre and assured hauls. 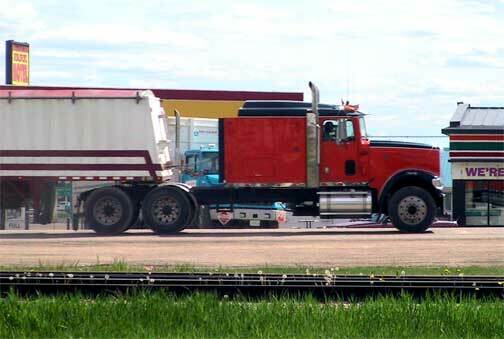 Many of these owner operators have graduated from being a driver, to an owner operator, to having a second truck for which they hire a driver. Many of these owner operators are farmers or former farmers who had farm operations to small to cope with the present market conditions and have come to rely upon trucking to support themselves or combine with the farm income. 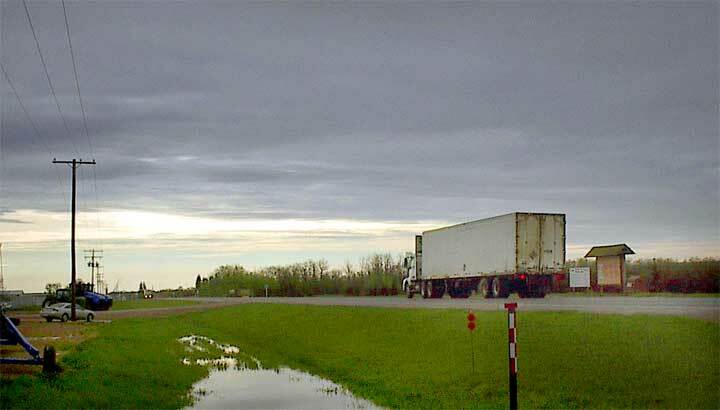 Unlike the city firms with established routes the trucking operations in Tisdale, Melfort, Nipawin, Carrot River and the other small neighbouring communities are depending on local market and hauling needs but far more independent and decentalised. This does not mean that the industry is in any way inefficient or chaotic, but rather it has a large number of owners who work with the terminals, grain agents and livestock sales operations to get the transportation done with surprisingly direct individual contacts. I am of the opinion that this diffuse ownership and small scale operations are serving the needs but can absorb a large number of qualified drivers. 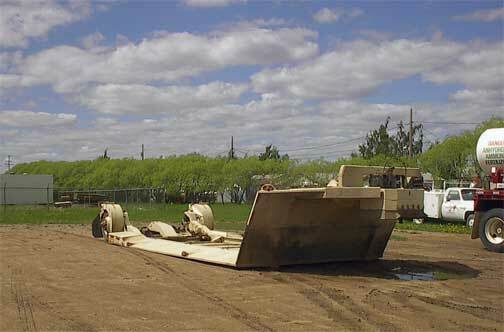 One sign of growth is the steady flow of equipment. The local car and truck dealership Bow Mar Sales Ltd. brings in a stock of tractor units that never stay on the lot for any length of time. This steady demand for replacement or additional tractors suggests that the industry is healthy. 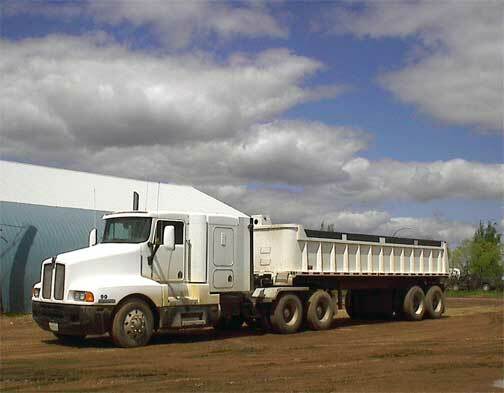 Another promising sign for the industry is the development of a specialise heavy truck parts outlet. 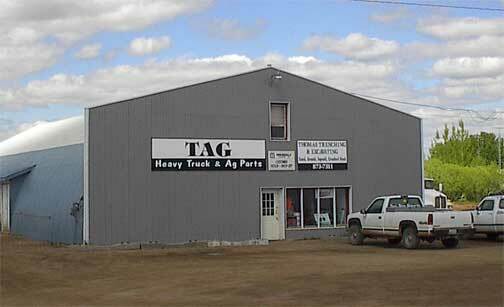 TAG has a large high quality inventory that is in response to the large number of operators showing a demand for parts and this shop has what is needed right here. 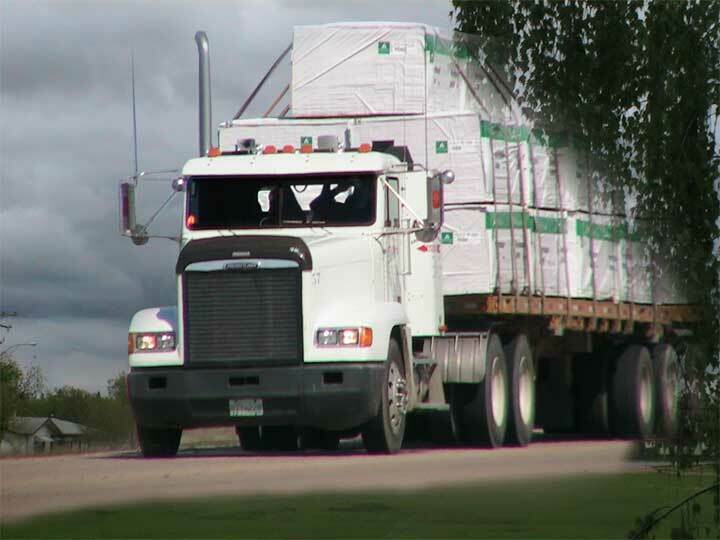 Grain, logs, wood pulp, finished wood products, fuel, fertilizer, finished manufactured products and livestock are on the move, needing to be moved, every day, around the clock. Transportation is the very engine of the economy depending upon getting production to market and moving the raw and finished goods. It is a certainty that the demand for drivers, the demand for trucks as the primary means of moving goods will continue to grow exponentially with the aggressive increase in productivity that we see about us. The economic conditions are positive now and all indications are that they will continue to be in the foreseeable future.